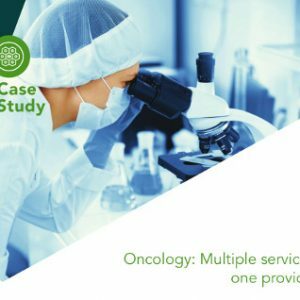 With the support of George Clinical (GC), The George Institute (TGI) for Global Health conducted a longitudinal cohort study of approximately 9,500 hospital patients with a first time diagnosis of cancer. The study was conducted across eight countries, namely: Cambodia, Indonesia, Laos, Malaysia, Myanmar, Philippines, Thailand and Vietnam. The aim of the study was to assess the impact of different cancer types on quality of life and household income. TGI's Health Economics (HE) team designed the study and the Statistics (Stats) team analysed the data. Data management (DM) services were provided by GC's specialists. A GC Project Manager (PM) was assigned to manage the contract and provide support to the HE team. The study required participants to be followed up at 3 months and again at 12 months following their diagnosis. The 12-month follow up proved to be challenging for a number of reasons; there was no study intervention, participants were not specifically required to re-visit the hospital for a clinical follow-up, many participants lived far away from the hospitals and a significant number died, or changed contact details. Because GC/TGI did not contract the sites, there was little opportunity to be in direct contact with the site staff undertaking the study locally. This provided GC/TGI with an opportunity to think and work creatively to ensure the success of the study. It became apparent early on that an expanded role for GC was required. An experienced project manager was allocated to enhance the links between academic teams, data management, the sponsor and participating hospitals in each of the countries. As each country experienced unique challenges, the ability to understand the issues that sites were facing was critical in enabling GC/TGI to tailor the support it provided. In particular, GC/TGI developed a strong rapport with the central coordinating team in Malaysia. The GC PM was the main contact between TGI and the sponsor coordinators in each country. Unique strategies were employed in each country. These strategies were successful in reducing the loss of follow-ups and enhancing the validity of responses. One such strategy was the implementation of regular feedback to study coordinators in order to manage the follow up of patients.